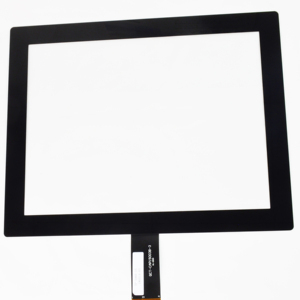 touch screen hmi light 1.HMI (Human Machine Interface) touch screen,touch panel monitor 2.display: 10" TFT Widescreen; TFT,Resolution 800x480,Ethernet port Specification RTC: Built-in PanelCutout (WXH): 259x201mm Weight (KG): Approx 1.4kg Display Display: 10" TFT Widescreen Brightness (cd/m2): 350 cd/m2 ContrastRatio: 300:1 Resolution (WXH): 800x480 BackLight: LED BackLight Life Time: 30,000 hr Touch Panel Touch Panel Type: 4 wires resistive type Memory Storage (RAM): 128 RAM (RAM): 64 RecipeMemory: 128KB+128KB store in Flash Memory. I/O Port SD Card Slot: Yes USB Host: USB 1.1 x 1 USB Client: USB 2.0 x 1 Ethernet Port: 10/100 Base-T COM Port: COM1(RS232 / RS485 2W/4W),COM2(RS232) COM3(RS232/RS485 2W) Audio: YES Power Input Power: 24 &plusmn;20% VDC Power Consumption: 300mA@24VDC Operation CE: Compilies with EN 55022:2006,Class A , EN 61000-3-2:2006, EN 61000-3-3:1995+A1:2001+A2:2005 standards UL: Pending Voltage Resistance: 500 VAC (1 min) Isolation Resistance: Exceed 50M&Omega; at 500 VDC Vibration Endurance: 10 to 25 Hz (X,Y,Z direction 2G 30minutes) Protection Structure: IP65 front panel (O ring seal) Storage Temperature: -20&deg;~60&deg;C (-4&deg;~140&deg;F) Operating Temperature: 0&deg;~45&deg;C (32&deg;~113&deg;F) Operation Humidity: 10-90% RH (non-condense) 2000 Pairs Sells per Month 5 pairs MOQ 48-72 hours delivery after received money . 3 YRS Shanghai Sunfull Automation Co., Ltd.
4. 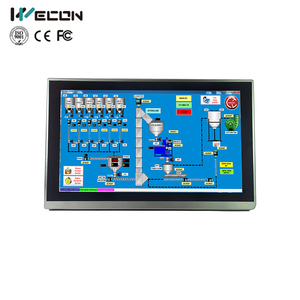 First-class Pre and After Service: we ensure the well processing of the practice of our capacitive lcd touch panel hmi 7 for customers. But for a complicated one, or a full set of project file including capacitive lcd touch panel hmi 7 and PLC, some fee should be charged. 2. 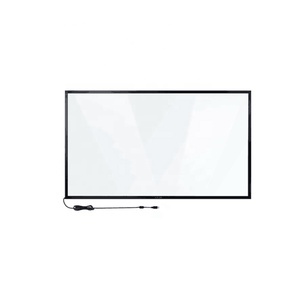 Do your capacitive lcd touch panel hmi 7 support all brand PLC9 The capacitive lcd touch panel hmi 7 support alsmost all foreign and Chinese PLC. 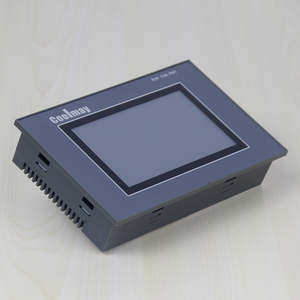 refer to &lt; CoolMay HMI User Manual&gt; Features COOLMAY MT9043H 4.3 inch true color touch screen, latest product, two installation methods, can be used for machinery and smart home and other occasions, comes with 232/485 ports, optional network port, support MODBUS protocol, Can communicate with a variety of PLCs. Advantages 1. 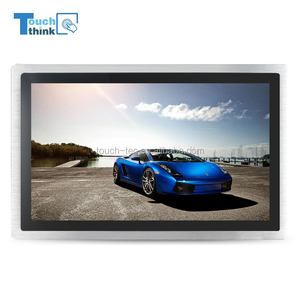 High-precision, high-reliability resistive touch panel 60,000 TFT color display H series vertical display 2. Strong software features Provide a large number of vector library, support self-built gallery Supports various formats of static images and supports animated GIFs Supports all fonts provided by windows U disk support for storage of data, recipes, history curves, history list, (real-time, history, alarm bar) alarm display function,and so on. 3. can integrate multiple functions Comes with RS232 and RS485 Optional network port or audio H-series basic and HA(S) upgrades are optional (internal system and CPU are different),etc. Step2.According to your details, we give you some advise and good price. Step5.We make design paper and waiting for your confirmation in two days. Step8.You arrange the last payment, we sending goods to the ports. 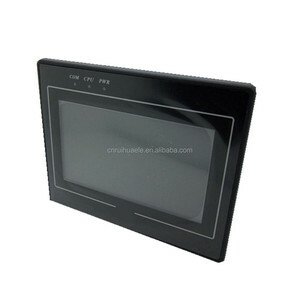 home automation tft capacitive modbus lcd industrial hmi m007 7"
original new ASUS 10.1 inch laptop screen 1. original new 2.10. 1 inch 3. 1015PX EeePC X101H LCD screen 4.model :B101AW06 2000 Pairs Sells per Month 5 pairs MOQ 48-72 hours delivery after received money . Users can use this gateway to monitor these control devices in real time by touch screen or phone, iPad, PC. Number of Registers is dynamic, each register can be builded up to 5120 points. Number of Registers is dynamic, each register can be builded up to 5120 points. 3 YRS Guangzhou Weide Electric Machinery Co., Ltd. This product has a gateway function that can be forwarded to the BACnet IP/MSTP server or Modbus TCP/RTU server, and the open data interface is integrated by a third party system. Number of Registers is dynamic, each register can be builded up to 5120 points. Number of Registers is dynamic, each register can be builded up to 5120 points. 4. First-class Pre and After Service: we ensure the well processing of the practice of our capacitive industrial panel hmi ip65 for customers. But for a complicated one, or a full set of project file including capacitive industrial panel hmi ip65 and PLC, some fee should be charged. 2. Do your capacitiveindustrial panel hmi ip65 support all brand PLC9 The capacitive industrial panel hmi ip65 support alsmost all foreign and Chinese PLC. 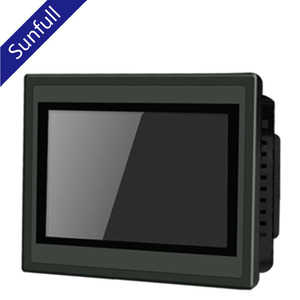 Alibaba.com offers 654 modbus hmi products. About 18% of these are other electrical equipment, 18% are touch screen monitors, and 17% are lcd modules. A wide variety of modbus hmi options are available to you, such as paid samples. There are 654 modbus hmi suppliers, mainly located in Asia. The top supplying country is China (Mainland), which supply 100% of modbus hmi respectively. Modbus hmi products are most popular in Domestic Market, North America, and Northern Europe. You can ensure product safety by selecting from certified suppliers, including 260 with ISO9001, 201 with Other, and 49 with ISO14001 certification.